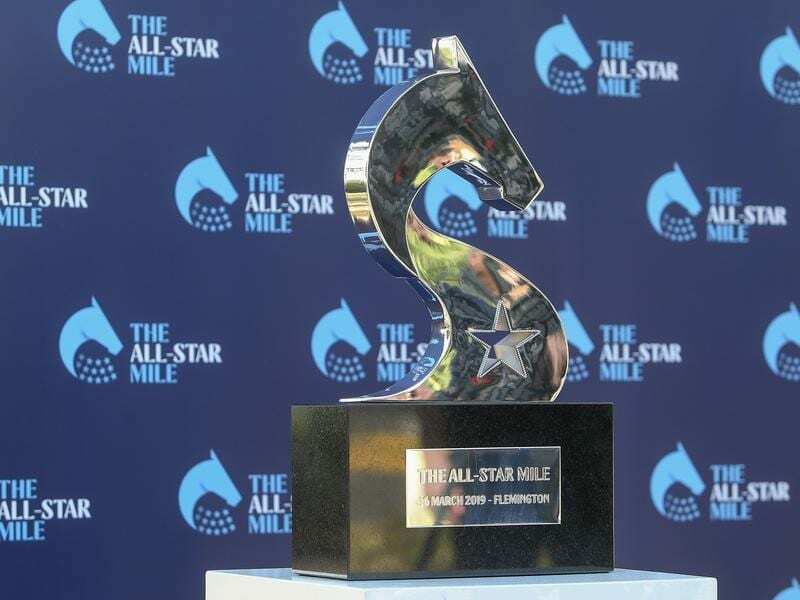 Trainer James Cummings is banking on the judgment of Godolphin chief Sheikh Mohammed when William Buick rides Hartnell in the inaugural All-Star Mile at Flemington. A retained rider for Godolphin, Buick will fly in to partner the eight-year-old in Saturday’s $5 million race over 1600m. Hartnell, who has barrier two, is one of two runners for Godolphin with stablemate, $3 favourite Alizee, drawing 12. “William is a contracted rider to Godolphin and it’s pretty important that he gets his opportunity to ride horses like this for His Highness Sheikh Mohammed,” Cummings said. “He (Sheikh Mohammed) is a pretty good judge. “He selected Kerrin McEvoy many years ago and I don’t think there’s a jockey in the country who’s had a bigger year ever than Kerrin McEvoy’s been able to have. Cummings said both horses had enjoyed a good preparation leading into Saturday’s race after finishing first (Alizee) and third in the Futurity Stakes at Caulfield on February 23. Lindsay Park co-trainer Ben Hayes was satisfied with the draws for Australian Guineas placegetters Hawkshot (4) and Amphitrite (14). Hayes said Hawkshot would not have to work as hard from the draw while they would most likely allow Amphitrite to drift back. “There were a lot of things against him in the Guineas,” Hayes said of Hawkshot. “He drew 17, there was a 40-knot headwind and it was a 37 degree day on a hard track. Amphitrite will jump from barrier 11 if the emergencies don’t gain a start and Hayes said she had been ridden on speed to take advantage of the draws at her past two starts. “We’ll ride her nice and patient, that’s my first instinct without speaking to Craig (Williams) yet,” Hayes said. “I’m hopeful we can turn around the Guineas result. Sydney visitor Happy Clapper, a last-start second to champion Winx in the Chipping Norton Stakes, has drawn barrier nine, coming into seven if the emergencies don’t get a start. South Australian Balf’s Choice, the top vote gatherer in the public poll, will start from barrier three under Simon Price. The Kris Lees-trained Le Romain is first emergency and has barrier one with He Or She the final emergency in gate 13. Alizee holds favouritism from Mystic Journey ($4.60) and Happy Clapper ($5) after Tuesday’s draw. Ten of the horses in the 14-horse field were decided by populae vote with the other four named as wild cards by Racing Victoria.